This was the first explore of our recent Scotland trip. 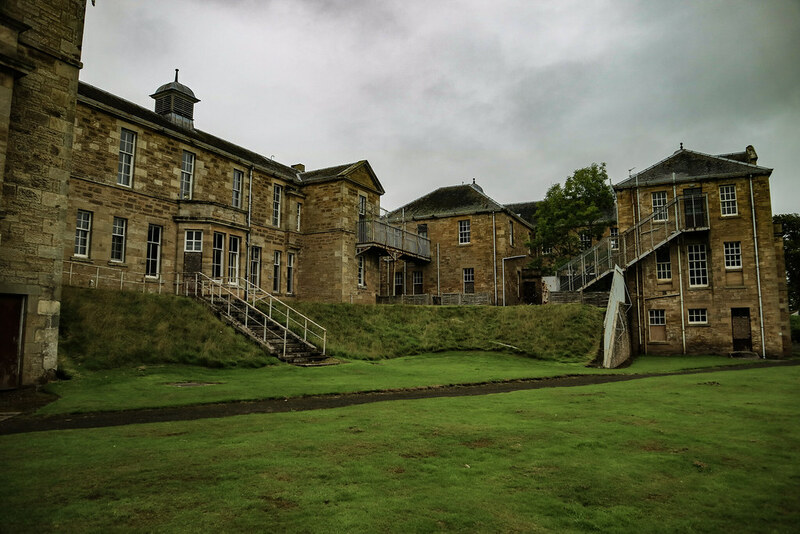 We were very excited to see an asylum as preserved as this one in terms of the artefacts inside. 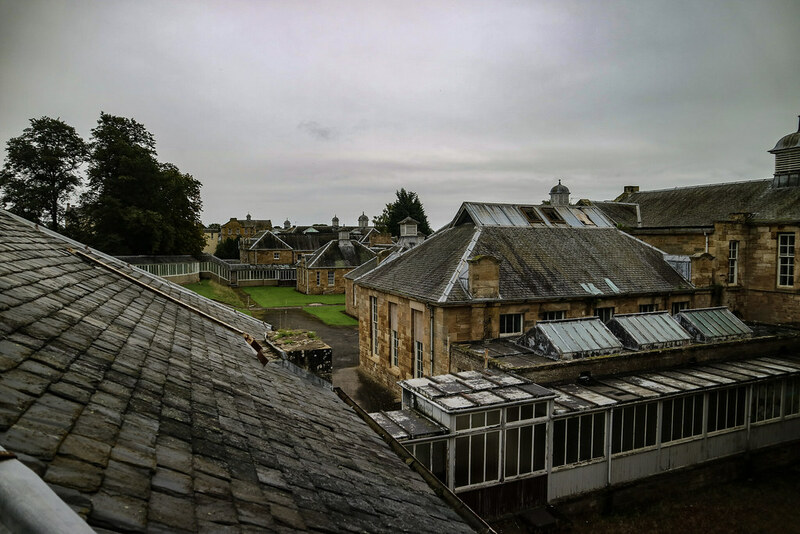 When the hospital was opened on 1 July 1866, it was known as the Fife and Kinross District Asylum. 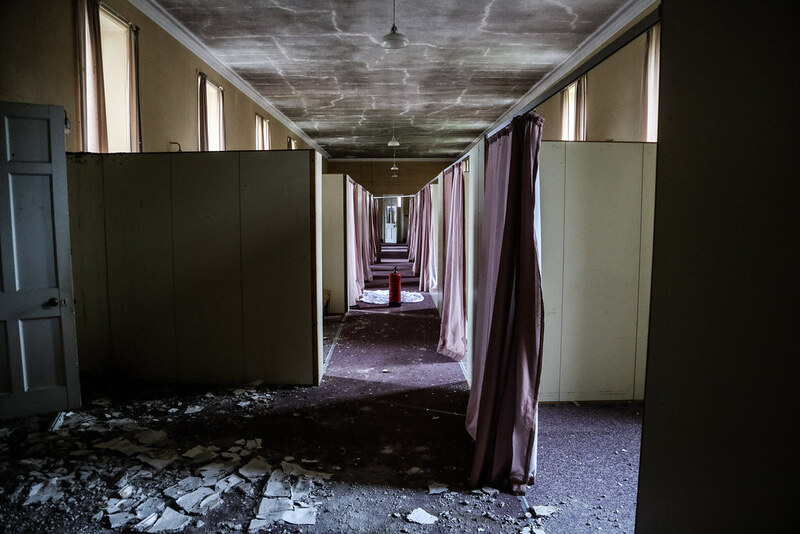 159 patients were recorded on the roster although it was built to accommodate up to 200. 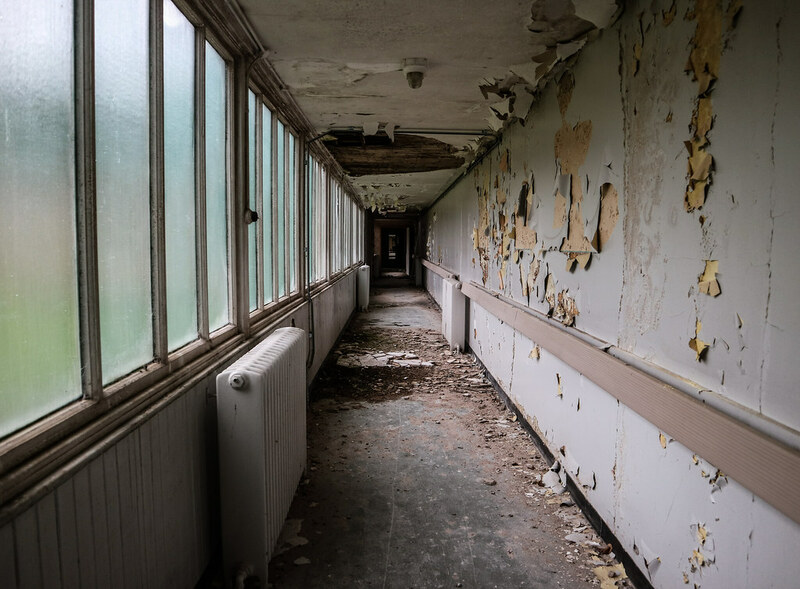 The first chief physician, John Batty Tuke, pioneered the hospitals "open door" policy and helped change traditional methods of psychiatric care. 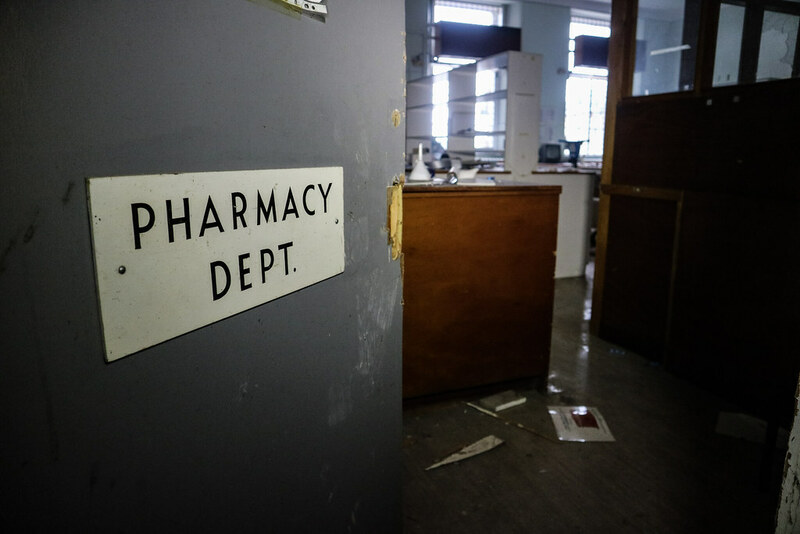 Due to eventual overcrowding, the hospital was extended in 1896. 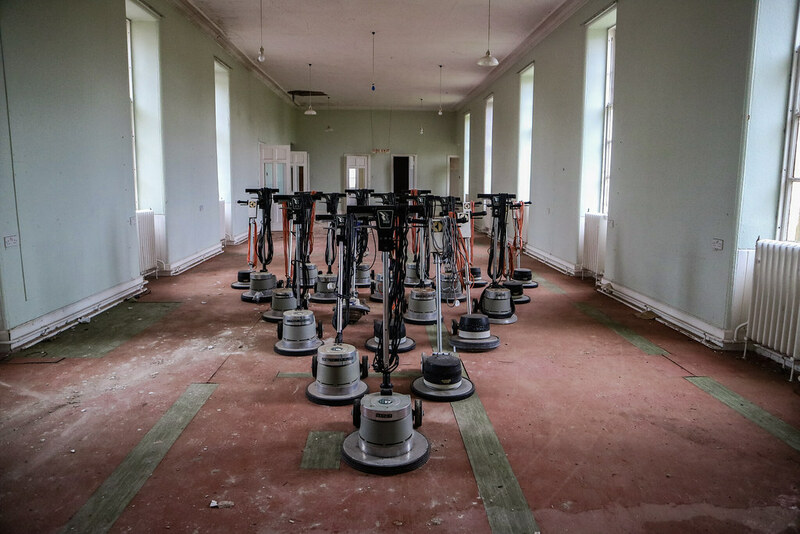 Costing over £20,000, the extension increased the patient capacity to 600 and a further two new hospital wings were also built in 1905 due to the increasing number of patients. 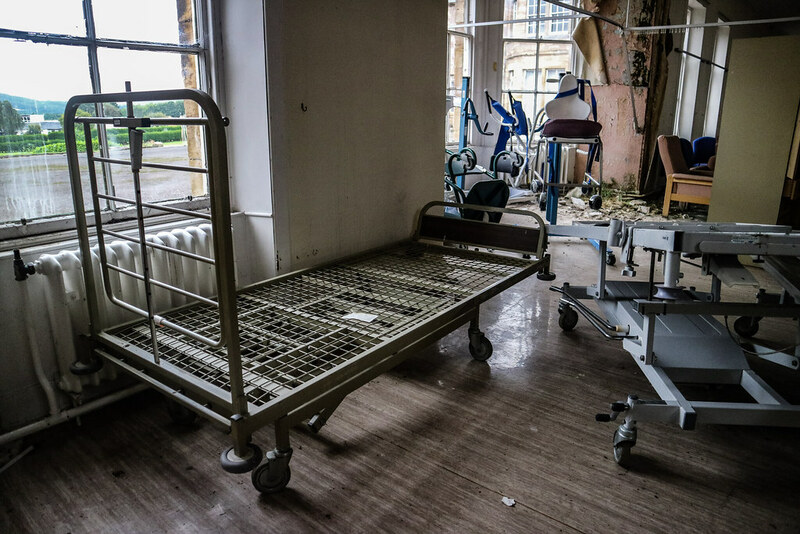 The creation of the NHS in 1948 completely re-organised the British health system and its hospitals. 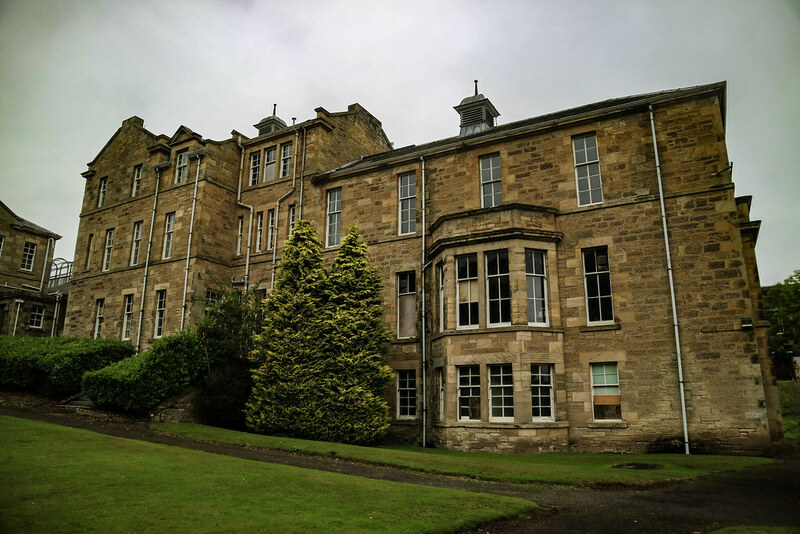 With the introduction of the National Health Service (Scotland) Act 1947 the name of the hospital changed from 'The Fife and Kinross District Asylum' to 'Stratheden Hospital' on 7 July 1948. 1960 saw the arrival of Dr Douglas Haldane, an energetic and recently appointed young consultant child psychiatrist. He had the novel idea of calling his department "Child and Family Psychiatry", a name that was to catch on elsewhere. 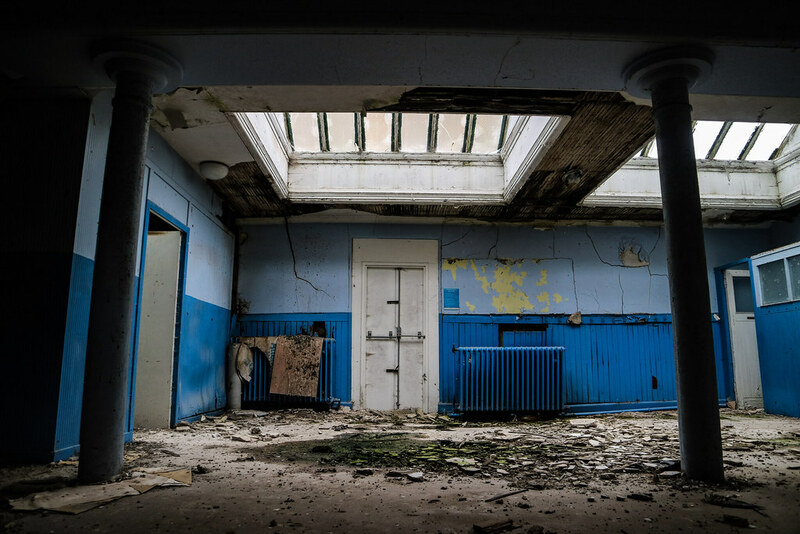 His unit was located at 'Playfield House' and was opened in the grounds of the hospital. As the label implied, it catered for children, adolescents and their families. 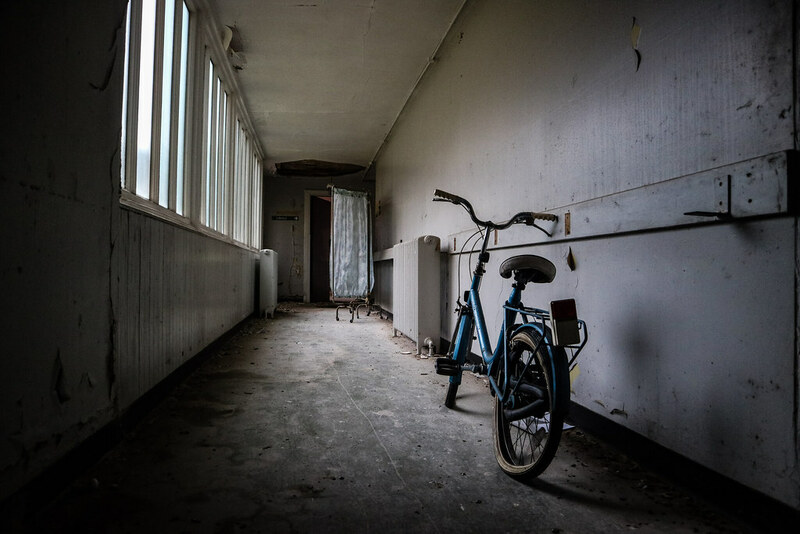 Eventually, in 1975 two purpose-built buildings were set aside for the in-patient care for whole family groups, along the lines of the Cassel Hospital, south of the border. 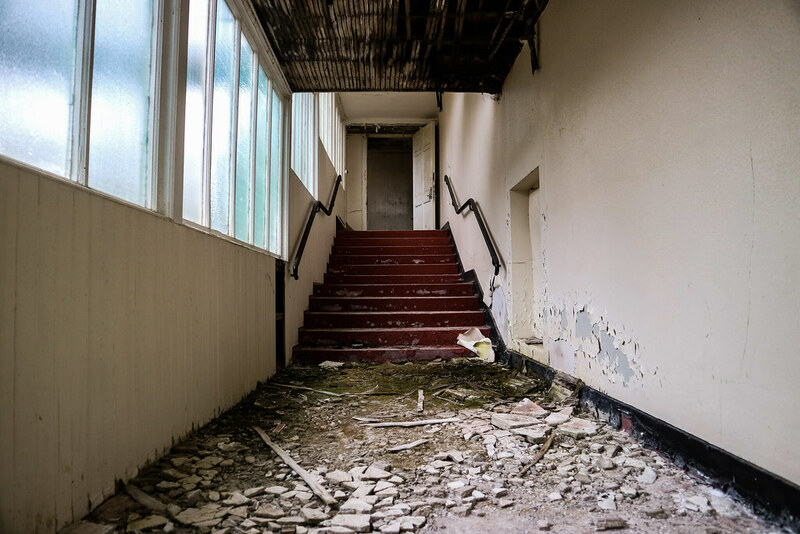 The other consultant child psychiatrist appointed to the hospital was Dr Simon Lindsay, who had been a trainee of the distinguished child analyst Melanie Klein. Lindsay was said to have been the only direct Kleinian in the whole of Scotland. 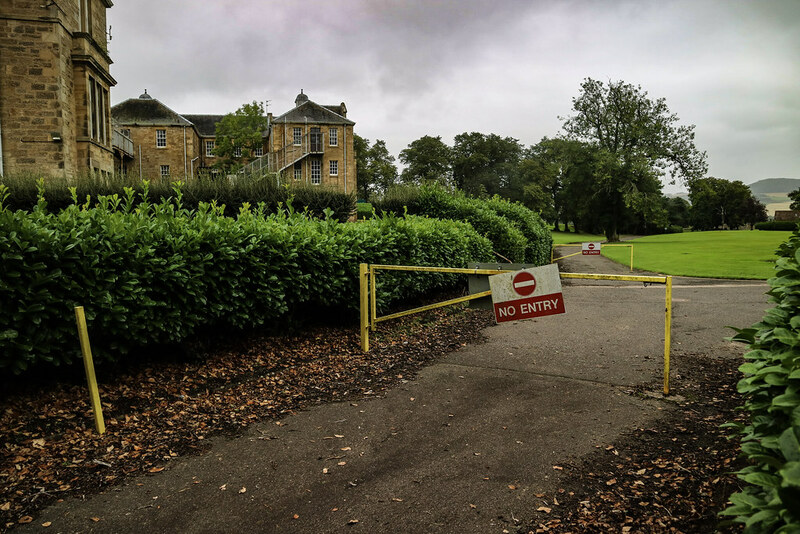 Plans for a new Intensive psychiatric care unit at Stratheden were approved in 2014 and construction began in 2015. The extension cost £4.4 million and includes a communal lounge, rooms for rehabilitative and therapeutic activities, access to an outdoor courtyard, private meeting rooms for visits from families or visitors, an IT suite and eight new patient en-suite rooms. It was opened in May 2016. This place seemed to be located in a place which had serious trouble with creating pavements so after we got off the bus nearby, we walked along a main road having to hop into the field every time a car went past on our side. Once we arrived, it was a lot easier than expected. 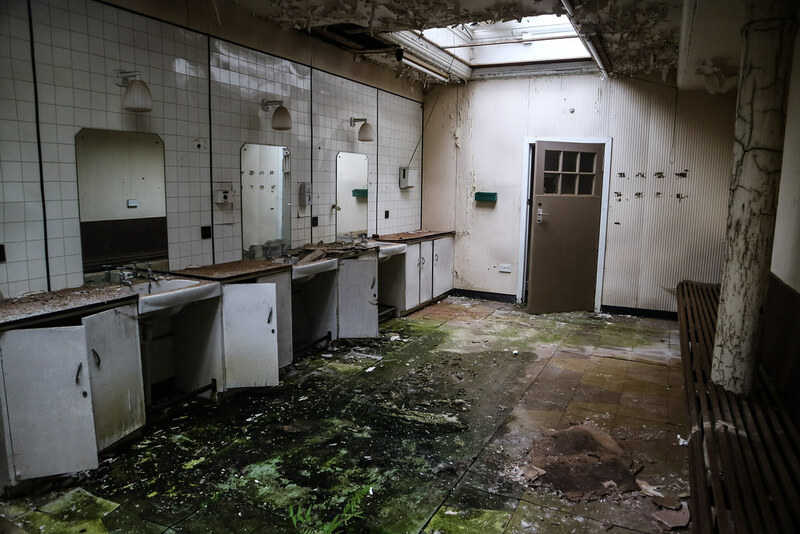 It appears that they literally don't give a crap about the derelict part of the hospital, as it is left very accessible and noticeable. Lovely stuff mate. Really happy you got on so well in Scotland. You caught this one just in time, all the ways in have been locked/sealed now apparently. Heard that from a few locals. Another good set and video. Good effort making the trip with public transport too! Nice, I like the moody feel to the photos. 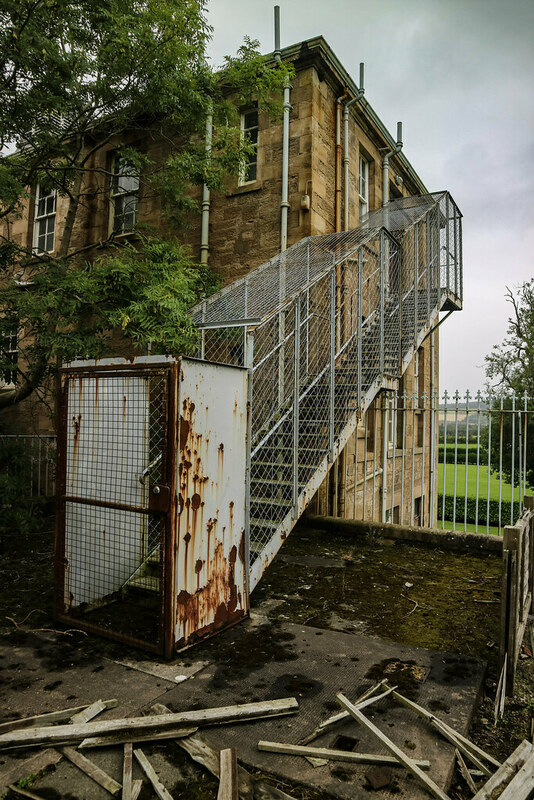 Report - Stratheden Hospital & Mortuary, Scotland, Aug/Sept 2015.